This is my daughter Reese and I. Reese is 19 months old and the older sister to Tadd (5 months). We were with my husband and my sister and her family. We were at the North Hero Air show. My mom and dad have a cabin on an island in Lake Champlain. We headed into mainland for an adventure day of watching some awesome stunt flying and parachuting! Reese was in awe of all the new noises and the crowd but she was safely and happy up on my back. We used my wrapsody stretch hybrid (Nammie print). She has been a reluctant wrappee lately (wiggle bum while I’m passing fabric!) so it was really nice to have a calm cuddle. She was keen to be “up” when we got there. It was so nice to have cuddles with my “big kid” on this day. My husband was wearing our snoozing 5 month old. Since our son had just nursed, it was the perfect time for him and daddy to have some good bonding time and for my girl and I to have some one-on-one time. With a daddy who works lots of long hours, and a nursing little brother, one-on-one can be hard to come by. We had so much fun that day. Feeling her little head resting against my back and hearing her excited chatter is something I can only experience when wearing my babies as such things would be lost in a stroller. After a while, she came down and played by the lake. Then, we used our wrap as a blanket and enjoyed a little lakeside ice cream. 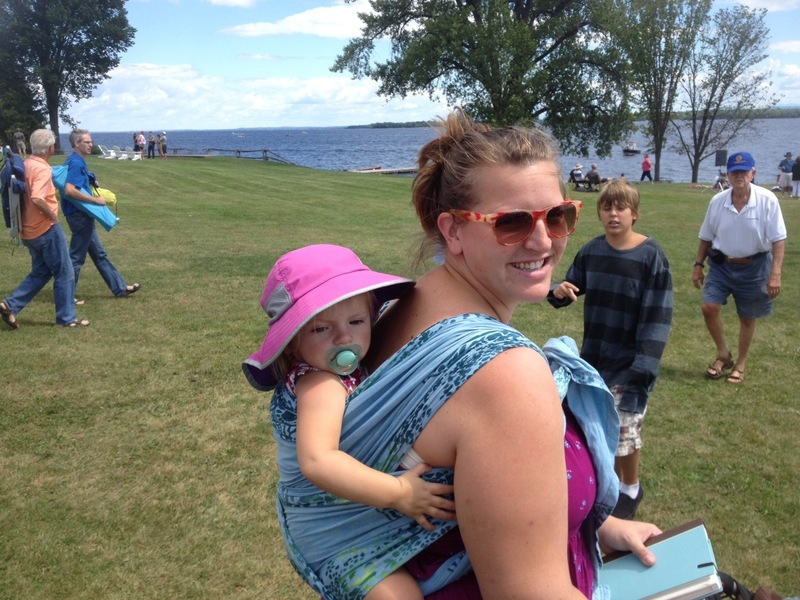 I love babywearing because of the closeness and the bonding it creates. It’s not news that kids love being close to their caretakers. Being a witness to her seeing the world, whether through talking, pointing or just seeing her eyes her wide at something new is so amazing. 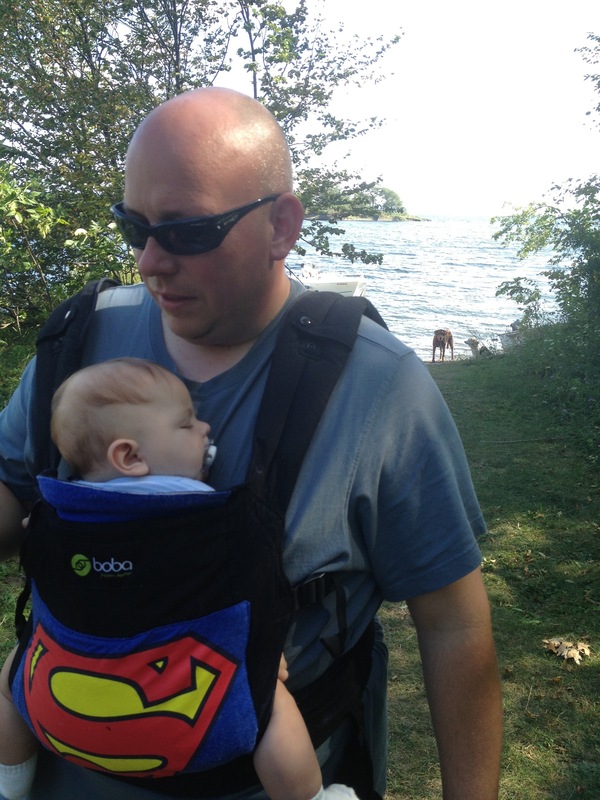 Of course, babywearing offers me huge amounts of convenience. My kids are 14 months apart. Having my hands free to hold a toddlers hand or nurse on the go has immeasurable value.